The two underdogs of IPL 2012 played the inaugural game of Subrato Roy Stadium, Pune at the home of Pune Warriors. Despite wobbling till 17th over, some good hitting by Steven Smith helped them set a decent target of 167 runs. Pune Warriors bowlers finally earned another easy win for their team. In reply Kings XI had the same start, with both openers being run out in first 4 overs. After that they were never in the game. The result says only 22 runs victory, similar margin that was earned by Rajasthan Royals against KKR early today, but the match was completely dominated by Warriors. Pune Warriors lead Kings XI 3-0. Pune Warriors started home campaign at new stadium with a win. 80-run 3rd wicket parntership between Samuels and Uthappa is Warriors highest for any wicket. 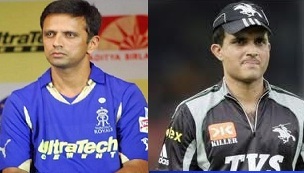 IPL 2012: Back To Ganguly and Dravid Era! !